This forces me to think of ways to diminish the chaos as much as humanly possible in order to enjoy the season to it’s fullest. 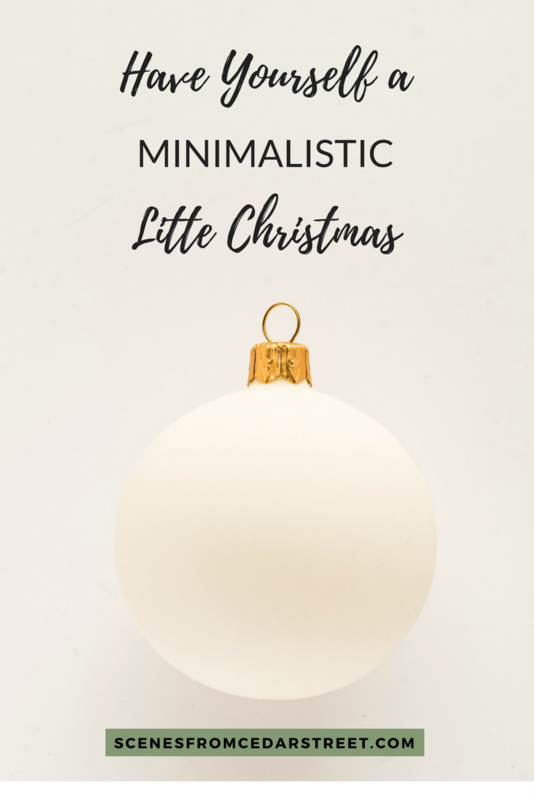 I don’t believe that minimalism is the be all end all or that if you practice minimalism you will find true happiness (more on this in a future post) but I do believe that there are certain lessons we can learn from minimalism that can help us enjoy this season to the fullest. Here are 6 ways to slow down, and enjoy this season. When it comes to Christmas I’m the type of person that wants to decorate and experience everything Christmas related. However, having a toddler made me learn very fast that Christmas is going to look different. Ornaments will break, children will get the stomach bug, there won’t be enough available babysitters for every Christmas party, families will fight, and things will get messy. This is the reality of life, especially with a toddler. If I go into the Christmas season with expectations that everything has to be perfect, I’m going to be constantly disappointed. 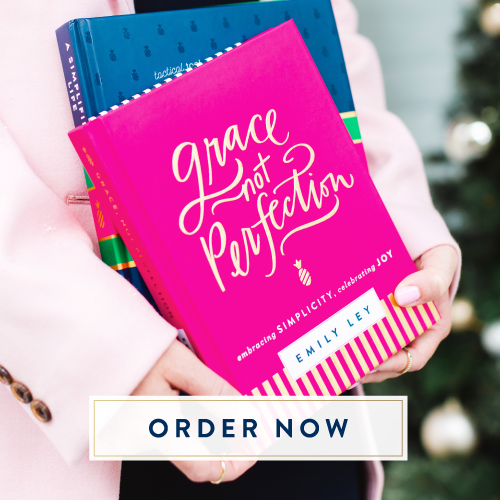 In order to have realistic expectations for this Christmas season, we have to look at the season of life that we’re in and lower or higher our expectations accordingly. I won’t always have toddlers running around, so right now I’m going to enjoy the look of wonder on Ellie’s face when she sees Christmas lights for the first time. I’m also going to hang my most fragile ornaments on the top of the tree. There’s nothing like bringing out all the Christmas decorations that make me want to downsize everything. This year while I was putting away fall decor and set up my Christmas decorations I put everything that I didn’t use or didn’t love anymore and put it in a box for goodwill. This helped the stress level this year and I know I’ll be thankful I did that for next season as well. I also did a “fall cleaning” similar to the “spring cleaning that I normally do. I went through clothes, closets, and toys and took everything I didn’t need anymore to either a consignment shop or goodwill. On top of the normal holiday business, there seem to be constant invitations to other events as well. While we live in the age of major FOMO, we all need to take a step back and evaluate what’s important to us. If you struggle with knowing what’s important for you and your family I would recommend creating a family statement. This is simply a statement that describes what your family is about and your goals. This will help you sift through the invitations and events. From there I would come up with 3-4 things that you definitely want to accomplish or go to this season. Then when other events come up you can see if it fits around the main events that you want to attend. This is the first year that our entire family was hit with the stomach bug the week before Thanksgiving. It was the most miserable few days of my life. This forced me to put aside everything and just focus on taking care of myself, my husband, and my baby girl. I wish I could’ve rested without having to get the stomach bug but it put things in perspective for me. So instead of waiting till you get sick, pick a few days where you put your phone down, don’t have a to-do list, and just enjoy your family and friends. This is something that moms especially struggle with throughout the whole year but it’s definitely hard around the Christmas season. There’s nothing like black Friday or Christmas decorations that makes us compare our lives and things to others. Seeing beautifully decorated houses and smiling families on Christmas cards can make us go into instant comparison mode. If you find yourself running around like a mad person trying to get everything done I would take a step back and ask yourself why are you doing what you're doing? Are you doing it to keep up with the Jones' or because you truly enjoy it? As women and mothers we are the orchestrators of Christmas. On top of all of the everyday tasks that are already hard to keep up with, we also have a whole other list a mile long of things that need to get done in order to make sure our families enjoy Christmas. In order to keep our minds and hearts directed to what Christmas is all about, the birth of Jesus, we need to be in reading our Bible daily. While this is something we need to do year round, it's especially true during this season when we are so easily distracted and bogged down by the hustle and bustle of the season. My wish for you is that this season will be full of hope, and joy. Not because of our circumstances or what we can accomplish but because we are once again reminded of the birth of Jesus, our Savior, the only one who can give us true joy this Christmas.